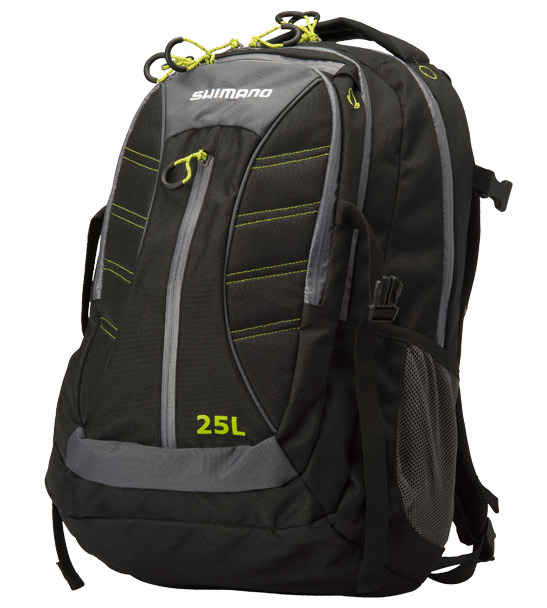 Shimano's new handy 25lt Backpack had been designed for comfort and practicality in mind. Featuring plenty of pockets to soak up all of your personal belonging such as wallets, keys, laptop computers, cameras and important documents for trips out on the boat, day-to-day use and carry-on luggage when travelling overseas. Made from quality materials, heavy duty straps and zippers and features four separate compartments with storage for different applications within each, for example, padded areas for laptops, "secret" pockets for keys and pockets for water bottles. Available from all Shimano retailers nationwide.